The following is a list of the men who served as Governor-General of the Federation of Rhodesia and Nyasaland. 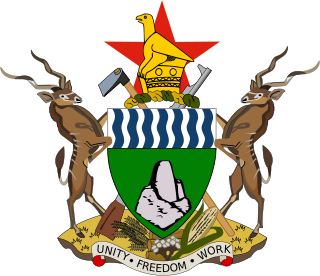 The Federation was formed on 1 August 1953 from the former colonies of Southern Rhodesia, Northern Rhodesia and Nyasaland, and was formally dissolved on 31 December 1963. Field Marshal Richard Michael Power Carver, Baron Carver, was a senior British Army officer. Lord Carver served as the Chief of the General Staff (CGS), the professional head of the British Army, and then as the Chief of the Defence Staff (CDS), the professional head of the British Armed Forces. He served during the Second World War and organised the administration of British forces deployed in response to the Mau Mau Uprising in Kenya and later in his career provided advice to the British government on the response to the early stages of The Troubles in Northern Ireland. The office of Governor remained vacant until 11 December 1979, when The Lord Soames assumed the post, following the signing of the Lancaster House Agreement, under which Southern Rhodesia would achieve de jure independence as Zimbabwe on 18 April 1980. 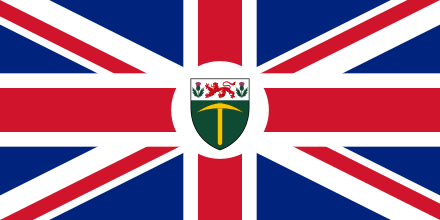 In common with most other British colonies, the flag used by the Governor, as the Sovereign's representative in Southern Rhodesia was initially a Union Flag with a white roundel in the centre, charged with the shield from the colony's arms granted on 11 August 1924. Unique among the flags of the Governors of British Colonies, this shield of Arms was not surrounded by the customary wreath. This flag was adopted on 1 October 1924 and was flown until 30 July 1951. 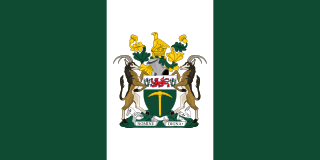 On 31 July 1951, a new flag was put into use for the Governor of Southern Rhodesia. This was dark blue and charged in the centre with a Royal Crown, its height being four-sevenths of the hoist. 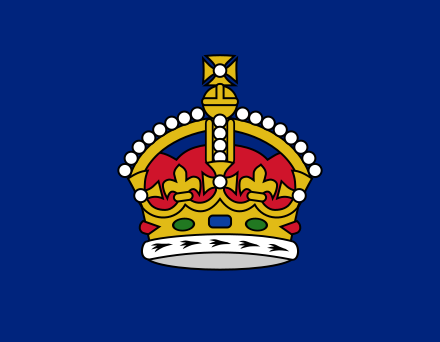 Initially the Tudor Crown would have been used, but after her accession to the throne in 1952, Queen Elizabeth II indicated her preference for St Edward's Crown and this version would have been used thereafter. 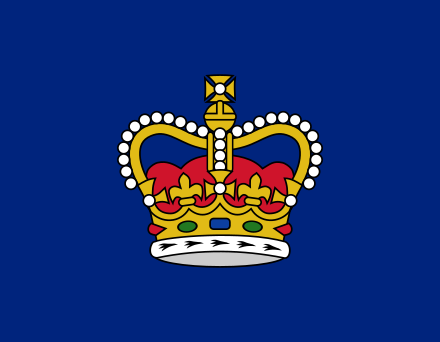 Although the colony had attained 'Responsible Government' in 1923, it was never a fully fledged Dominion, and so did not have a Governor-General, whose flag in other Dominions would be dark blue, charged in the centre with the Royal Crest above a Crown, with the name of the Dominion written in a yellow scroll below. Sir Humphrey Vicary Gibbs, was the penultimate Governor of the colony of Southern Rhodesia (1959–1969) who served through, and opposed, the Unilateral Declaration of Independence (UDI) in 1965. The flag of Rhodesia changed many times as a result of political changes in the country. 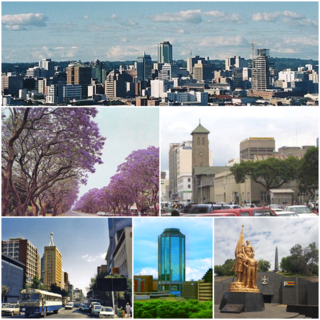 The Bledisloe Commission, also known as the Rhodesia-Nyasaland Royal Commission, was a Royal Commission appointed in 1937–39 to examine the possible closer union of the three British territories in Central Africa, Southern Rhodesia, Northern Rhodesia and Nyasaland. These territories were to some degree economically inter-dependent, and it was suggested that an association would promote their rapid development. Its chairman was Lord Bledisloe.